Miller Split Ball Assemblies provide a convenient way to quickly add the necessary weight directly to the wire rope at any point. 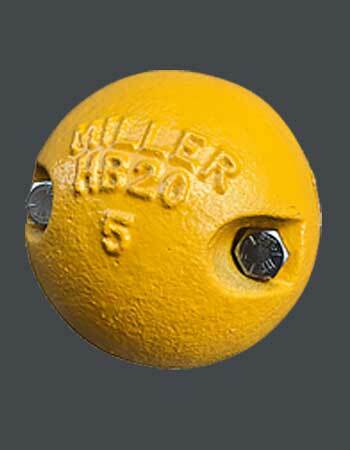 Made of cast iron, Miller Split Ball Assemblies are available in 20, 50 and 100 pound models. Clamping hardware is included.